This smart software solution for desktop, tablet and smartphone devices brings control and efficiency to every part of video security. 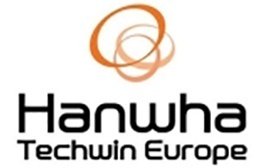 Hanwha Techwin has produced a network hardening guide that outlines the right approach to keep your Wisenet video surveillance solution cyber secure. 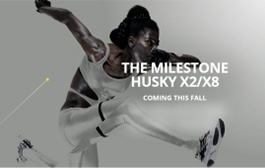 Husky™ X series is a range of flexible network video recorders complementing the existing range of Husky NVRs and unlocking the full potential of XProtect VMS. In this article, Axis identifies the top seven things to remember when setting up a surveillance system for a small business. Cut Your Certification Costs by 65 Percent! 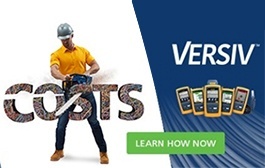 These videos show you eight reasons why upgrading to Fluke Versiv will cut your certification costs by 65 percent. Efficiency is key to preparing for 5G. This means placing cloud computing capabilities closer to the edge for lower latency and embracing new technologies. These new fibre enclosures are an ideal solution for fibre networks in data centres and building networks, accommodating up to 96 fibres in 1U of rack space. The days of tedious migration from 10G Ethernet to 40G/100G Ethernet is over. Now it's easy to change polarity and gender on your fibre cable assemblies. Users of MPO have faced challenges testing and troubleshooting multi-fibre networks. This video series by VIAVI helps you overcome these challenges. 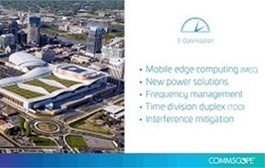 CommScope announced a new in-rack controller designed to power and monitor up to 10 RU of intelligent panels in up to three separate consecutive racks. How can you minimize the stocking of spare SFP inventory? A successful solution Transition Networks has seen is to utilize dual-speed (1 Gig/10 Gig) SFPs. Austin Hughes has increased its InfraSolution rack smart card access control range with the addition of an S-700 Standalone Digital Handle. Watch the video! Panduit’s Net-Verse™ cabinets offer scalable and cost-efficient solutions for on-premises and colocation/cloud data centre or enterprise deployment. Panduit’s Net-Verse™ cabinets offer scalable and cost-efficient solutions for on-premises and colocation/cloud data centre or enterprise deployments. Say hello to NETCONNECT® from CommScope, download the brand new NetConnect® Structured Cabling Solution Guide and discover the ten reasons to choose NETCONNECT®. Since Veracity created the Ethernet over Coax market with the launch of HIGHWIRE™ in 2006, the product line has grown to include PoE over Coax. Did you know that Axis M3045-v Network Camera is made of recycled plastic and is completely PVC-free? Axis do their bit to create a more environmentally friendly world. Hanwha Techwin has further strengthened its Wisenet T camera series with the addition of the 2 megapixel Wisenet TNU-6320 network positioning camera.